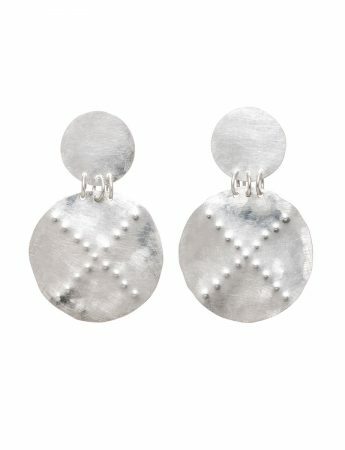 X marks the spot. 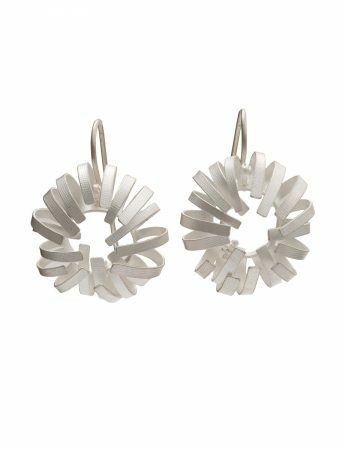 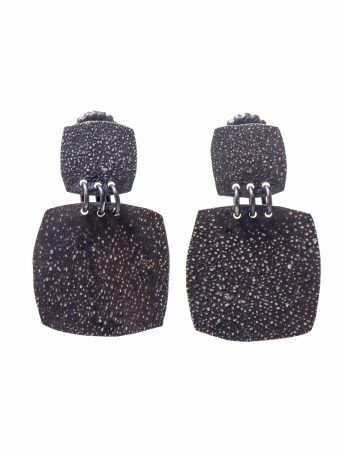 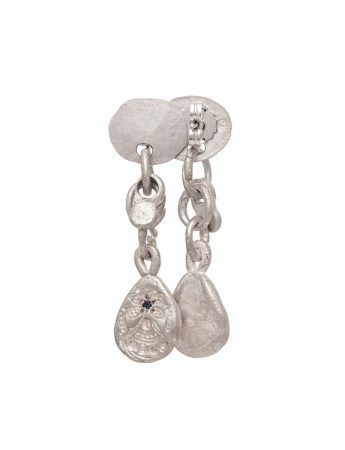 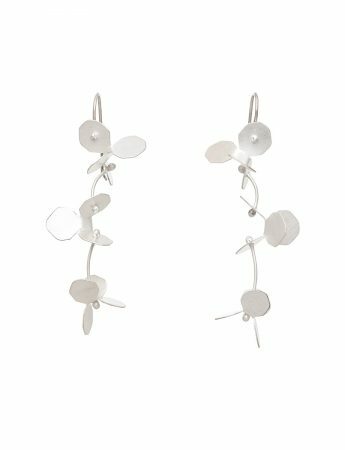 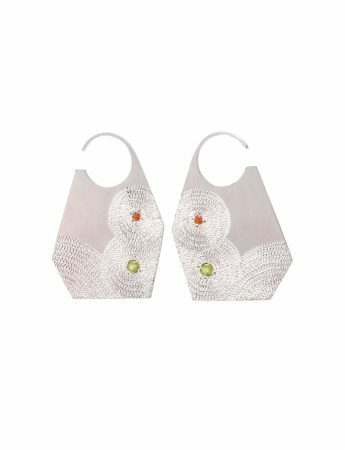 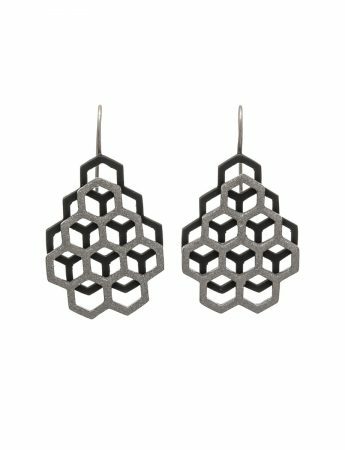 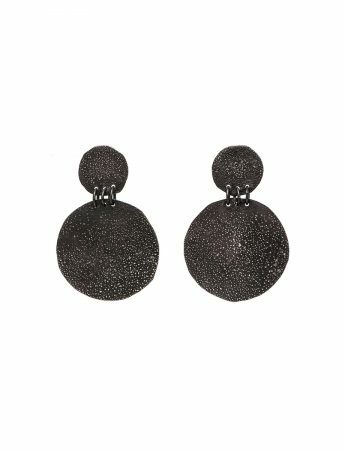 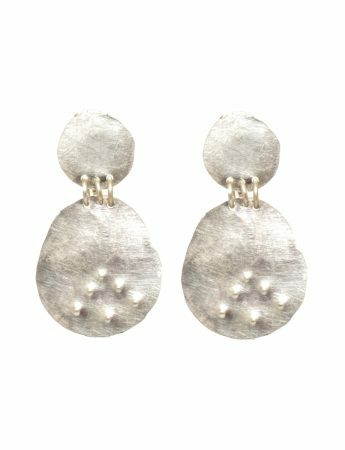 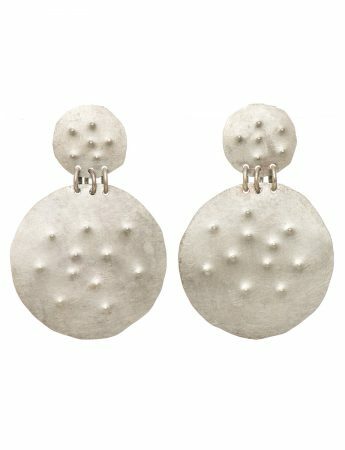 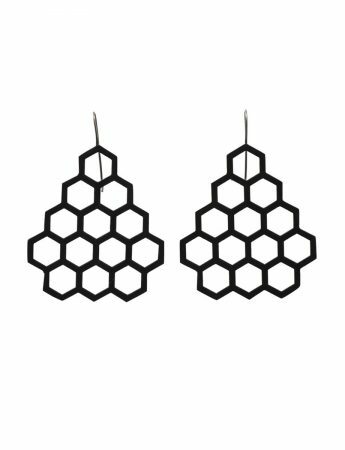 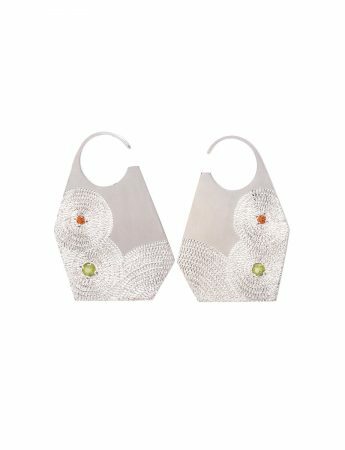 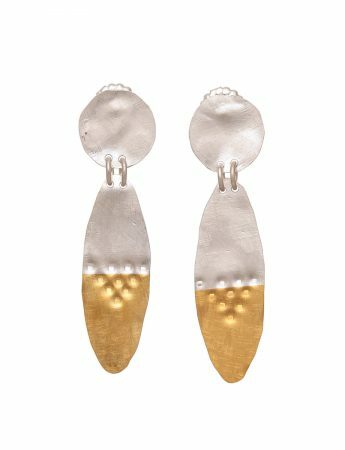 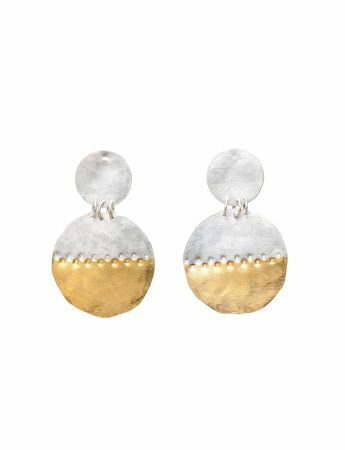 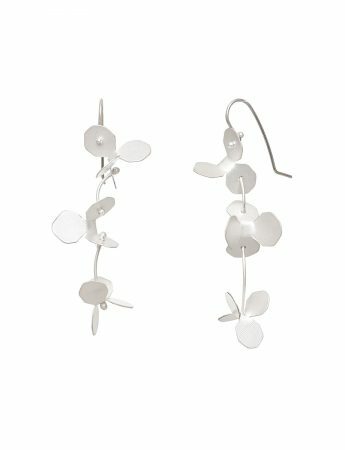 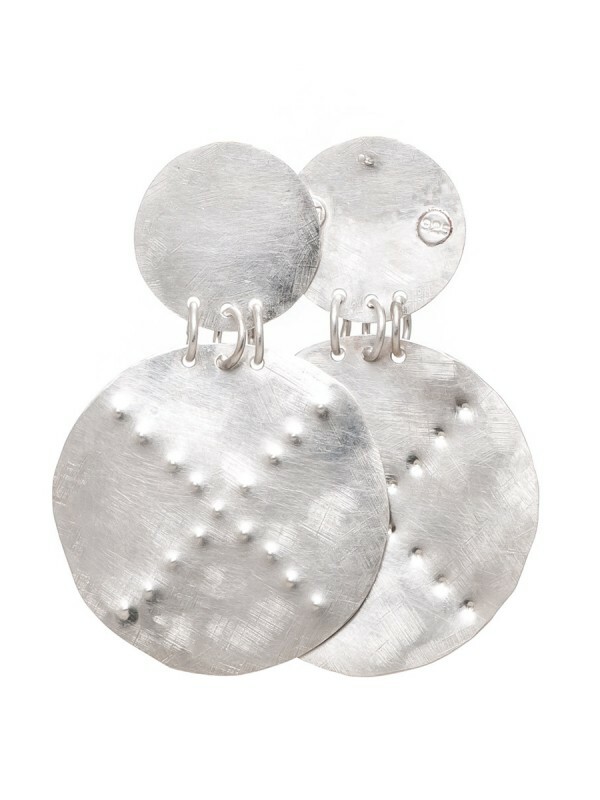 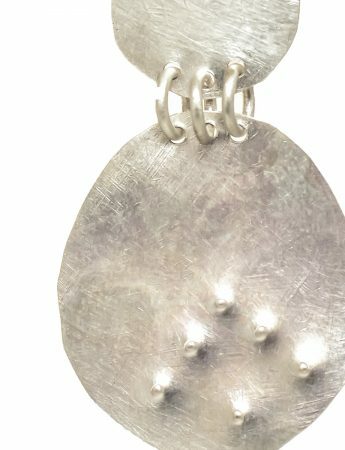 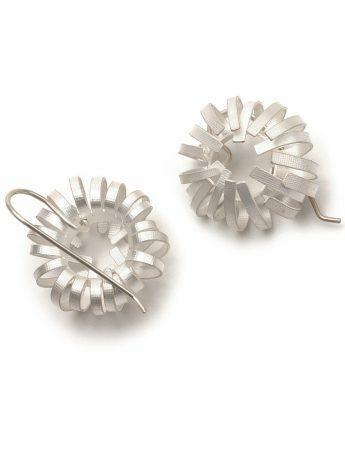 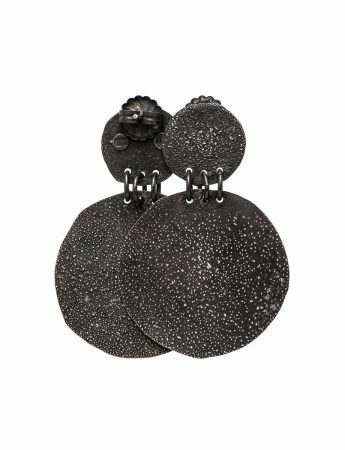 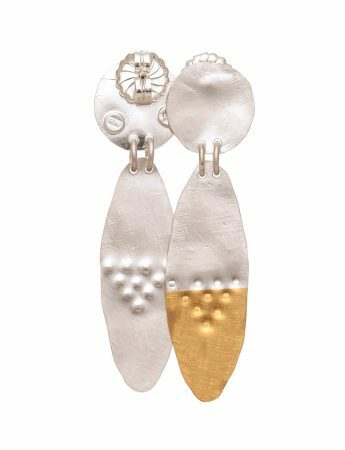 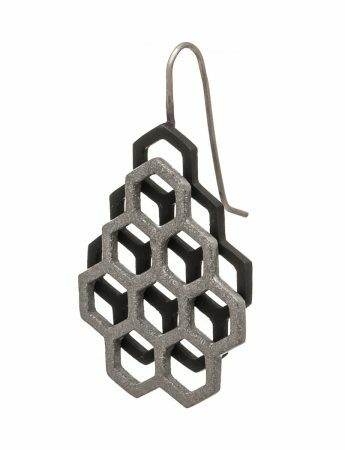 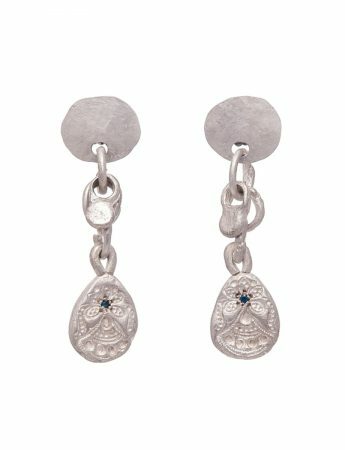 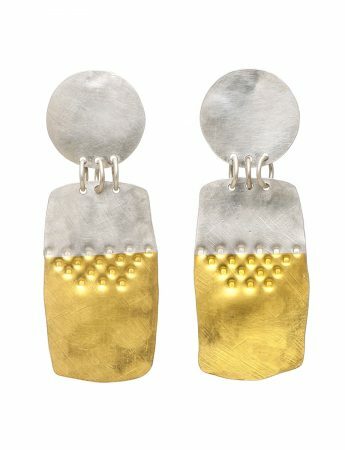 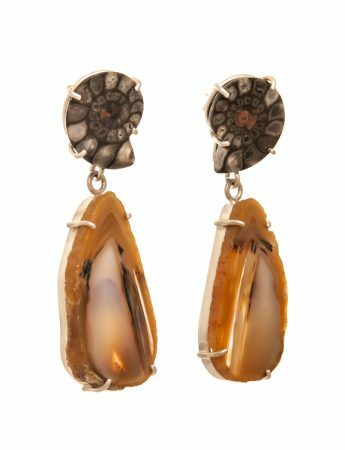 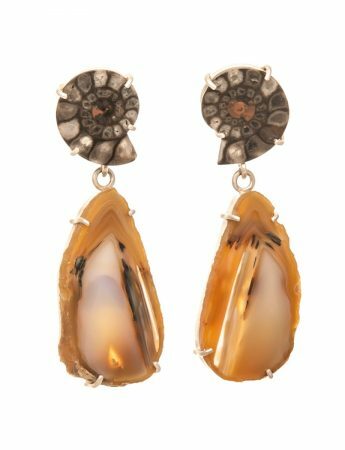 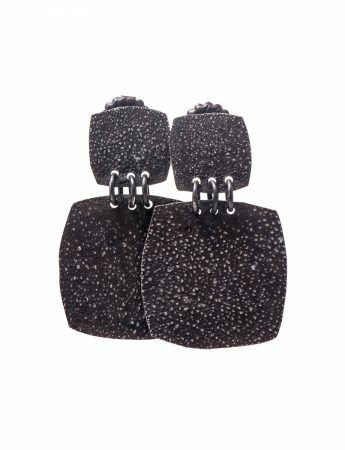 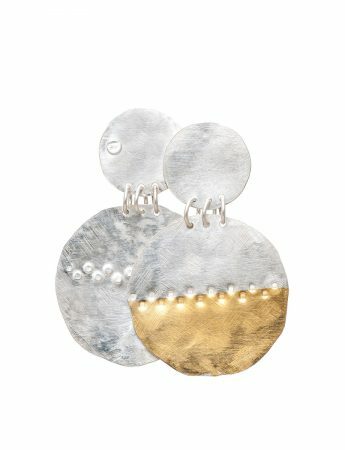 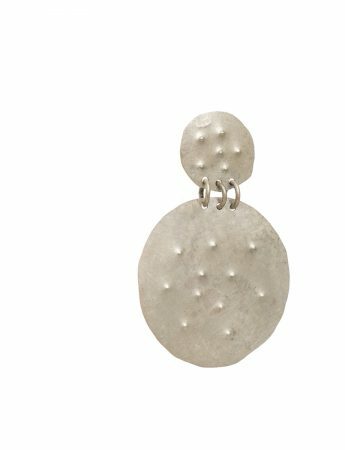 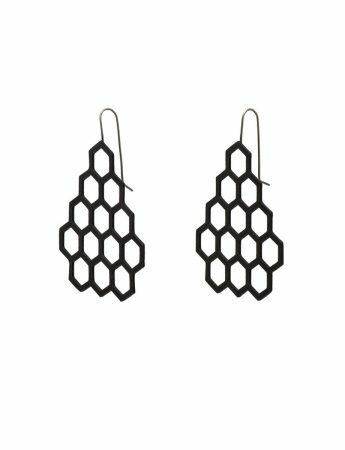 These light sterling silver round earrings are embossed with lines of geometric dots. 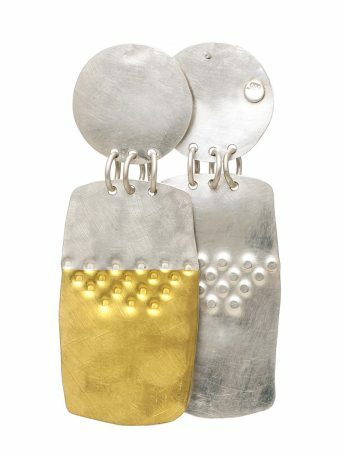 Handmade by Robyn Wilson. 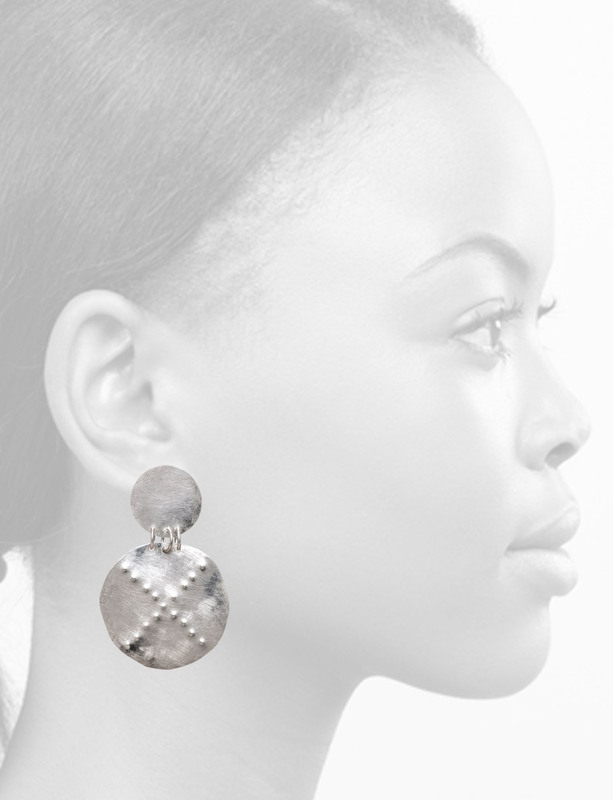 Details, exact size and pattern placement may vary from the image pictured.